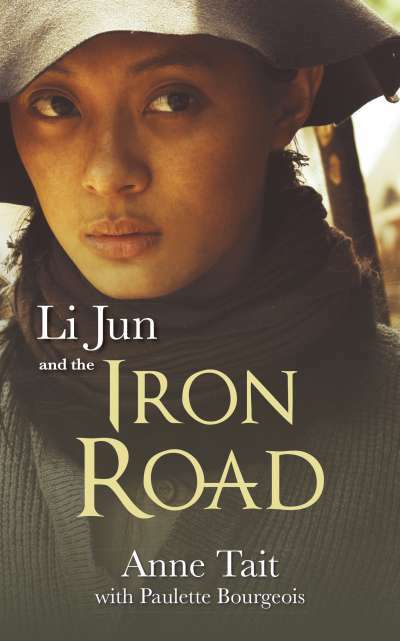 Writer, broadcaster, and movie producer Anne Tait’s novel adaptation of her Gemini Award–winning TV mini-series Iron Road tells the story of teenager Li Jun, who travels from southern China to the mountains of B.C. in the 1880s. She goes in search of her father, who set out for Gold Mountain to work on the railroad and hasn’t been heard from since. Jun, nicknamed Little Tiger, disguises herself as a boy to gain access to the mining camps, but her disguise is compromised when she falls in love with the white son of a railway tycoon. Franklin the Turtle creator Paulette Bourgeois lends an expert authorial hand.